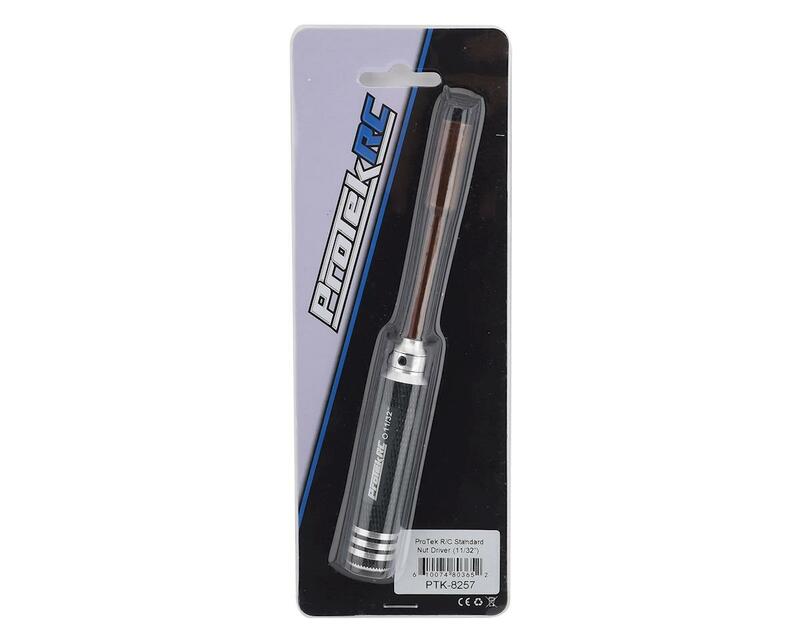 This is the ProTek R/C "TruTorque" 11/32" Standard Nut Driver. No one wants to spend money on low quality tools. Tools are an investment that should not be taken lightly and are one of the few items that should outlast the life of the model you are working on...and remain with you for years after. With so many choices available, the decision can be overwhelming. So ProTek R/C has stepped up again, expanding its product line with a complete range of affordable, high quality tools that help to make the decision a little easier. this is a great tool to have for any pit bag. this wrench fits the standard wheel nut on 1/10 associated wheels. Great tools. 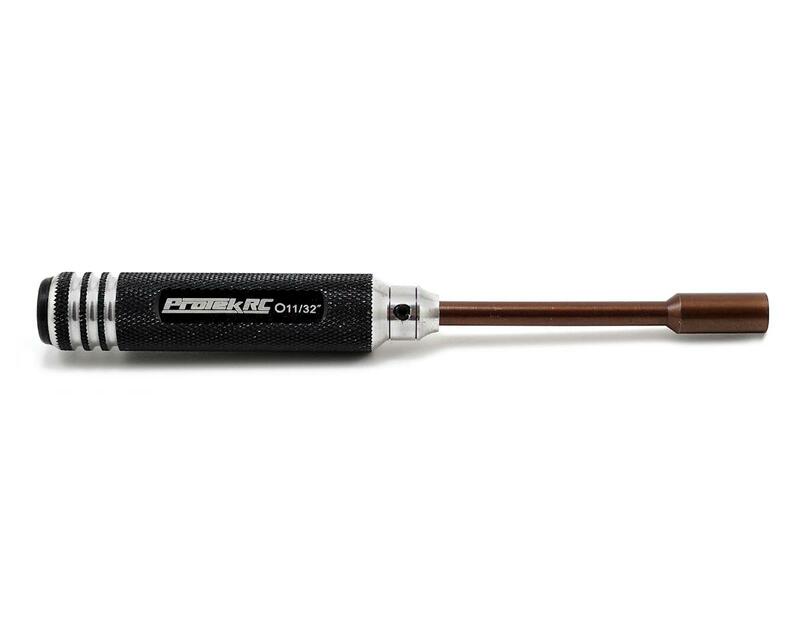 Handle has great knurled grips and nut driver fits nuts perfectly. Great length and deep recess for longer screws. Needed for TLR, Team Durango, and most standard cars.